That’s the easiest way of describing what this is. Quite simply, it’s using our wealth of knowledge in design, creativity and technical knowhow, to turn your own images into a piece of art. These are images you already own, perhaps you took them yourself on your own camera or mobile phone. They could even be old photos you’ve had stuffed in a drawer for generations! These ‘forgotten memories’ deserved to displayed and loved every day and that’s where we come in to help! It’s so simple as we do all the work, you just let us have the images! 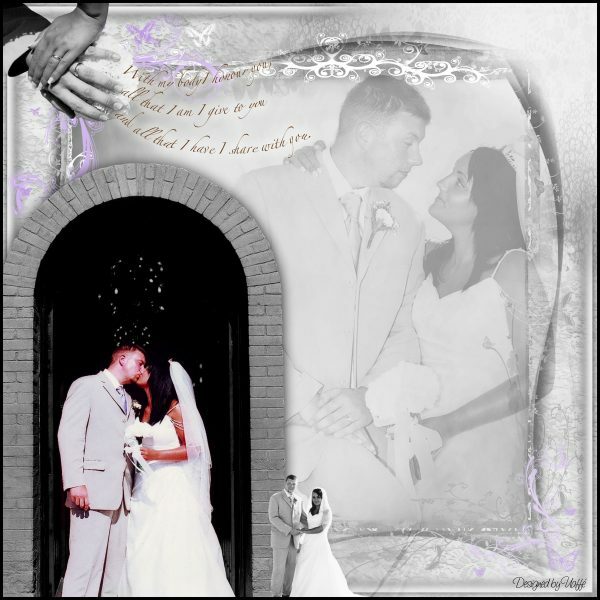 Wedding pictures are far too often neglected in an album or hidden in a drawer, only to be brought out on rare occasions. Maybe you have them stored on a USB memory stick, a DVD or even in the cloud… all gathering digital dust and being forgotten about? Hide those pictures no more! Trust the experts with over 50 years experience to transform your images into a stunning and bespoke designed piece of art for your wall! 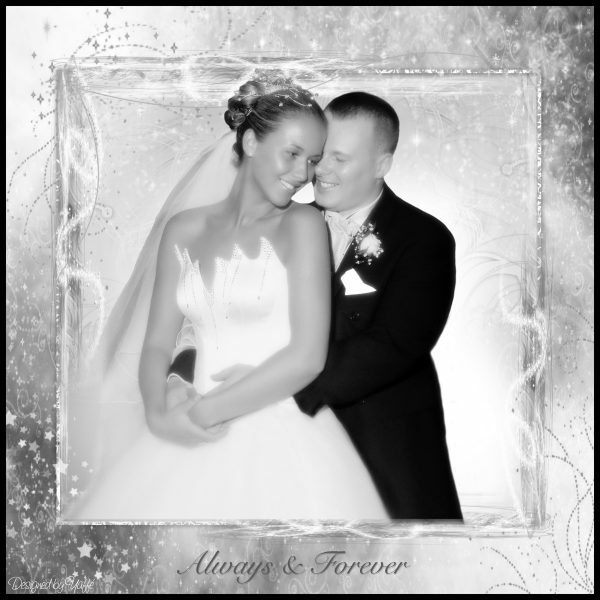 Bring your precious memories back to life and relive your special day… every day! 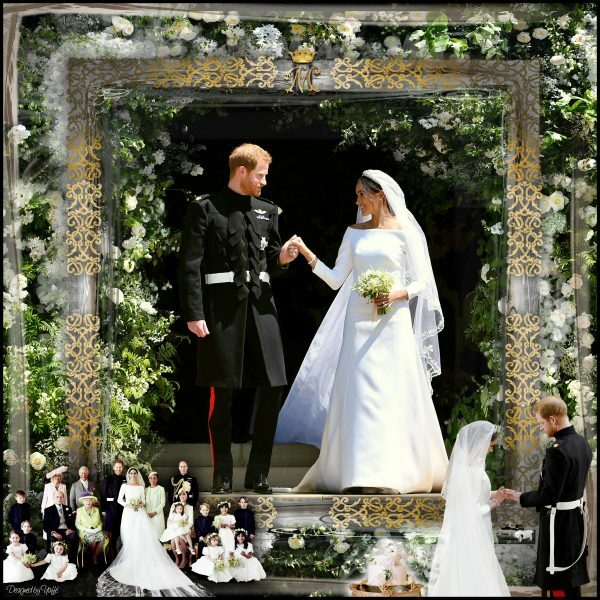 These days, many wedding photographers are happy to give you hundreds, maybe even thousands of images from your wedding and leave you to decide what you want to do with them. Whilst some people go one step further and have an album produced, most just leave them to deal with another day and sadly get forgotten. 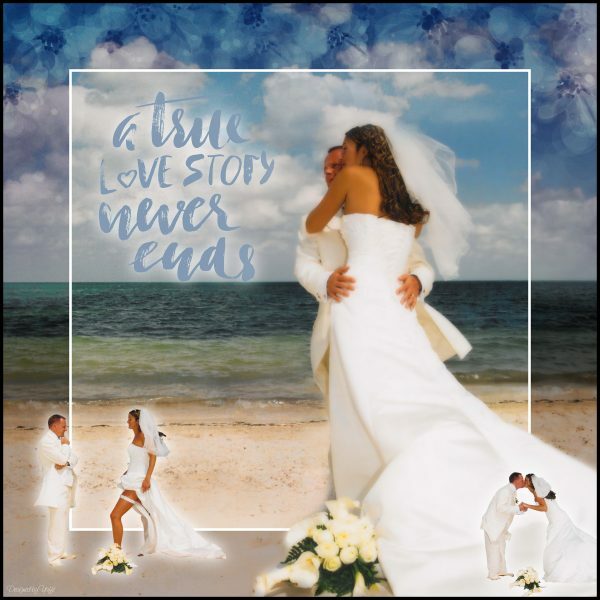 We don’t believe those important wedding images should be forgotten about. They should be loved, cherished and enjoyed in the best way possible… with a ‘Designed By Yaffé’ portrait! It couldn’t be any easier… simply use the form below to send us your favourite images, tell us what you think you would like with as much detail as possible and we’ll come back to you with our thoughts and ideas. Then just leave us to wave our ‘Yaffé magic wand’ over them and produce a stunning custom designed piece of art for your home! We’ll even make it sparkle with gorgeous Swarovski crystals, so the whole image comes to life! Even if you just have some general questions, use the form below or go ahead and use the file uploader to send us your favourite images. No more than 10 please. 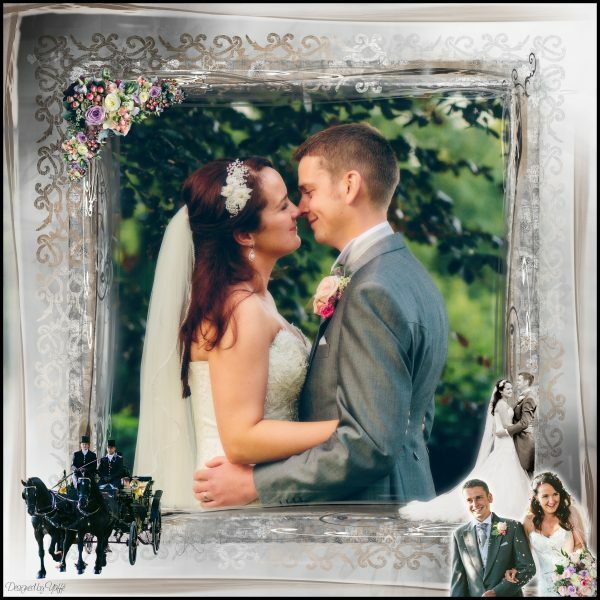 Should you have some special images that aren’t from your wedding, we can still work with those too! Prices for a ‘Designed by Yaffé’ are dependent upon many factors including size, number and quality of images. However, they start from £250 and are individually quoted before production begins. So go ahead, send us your special wedding images and let us quote you to make your memories come back to life! Designed by Yaffé images start from £250 including up to 3 images printed at 14×11 inches in size. Each finished image is professionally laminated for longevity and protection against the elements. Finally, it is mounted onto a thick blockboard ready to hang on your wall. Finished designs can contain as few as one image or as many six or seven, depending on the size and design. Each piece is specially designed for you with appropriate colours and individual design elements. Well, just get in contact with us using the form below. Optionally send us the images you think you’d like us to work with for comments, ideas and to see if your images are suitable to be used. Don’t worry if you don’t have the originals, just send us anything you can, even photos of prints taken with your phone camera! Remember… it costs nothing to ask! We are now expanding our range of ‘Designed by Yaffé’ pictures into new areas such as holiday pictures or cherished images of late family members.